The popular Nike Air Foamposite one silhouette gets a break from the current wacky and vibrant colorways and goes the more subtle route, with the upcoming release of “Triple Black” rendition of the iconic model. Reminiscent to the sought-after 2007 released black/black “anthracite’ foams, the Triple blacks come completely blacked-out but feature a premium suede twist on the signature shell-upper. 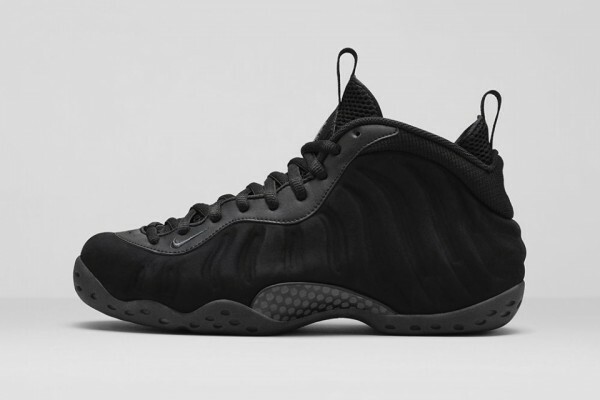 The Triple Black Nike Air Foamposite’s will be over at the Nike online shop and select sneaker retailers August 29th. These will go fast so hit up all your local kicks spots.